The Susanville Symphony’s most popular concert performances of the year are scheduled for this Friday and Sunday, and tickets are going fast. This weekend’s concerts feature the works of great pop artists like Adele, Bruno Mars, and for those old school fans, Journey, melded with the sounds of classical music. “We have local guest soloists, outstanding instrumental showcases (Oboe and Violin), as well as a few surprises,” said Wade. Titles to be performed by the symphony and guest musicians include Journey’s Greatest Hits, Classical Gas, Feeling Good. Radioactive, Oblivion and others. A full-slate of soloists include Ben and Charity Moore, Tom Braun, Emily Bernard, Cami Cutler, Madison Cole and others. Along with the music there will be lights, choreographed dancing and lots of fun! Pops extravaganza dancers will be drawn from J and J Performing Arts, the Susanville City Kickettes and the J and J Mini Competitive Team. 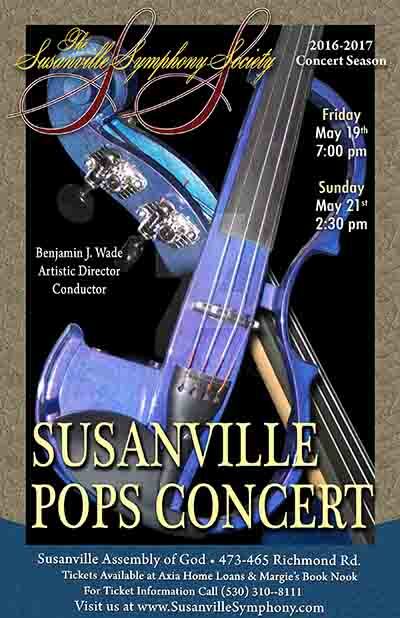 The Susanville Symphony’s Pops Concerts will be held this Friday, May 19th at 7:00p.m. 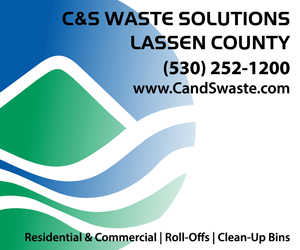 and Sunday May 21st at 2:30p.m. at the Susanville Assembly of God Church, 473-465 Richmond Road. For ticket information you can visit www.susanvillesymphony.com or call 310-8111. 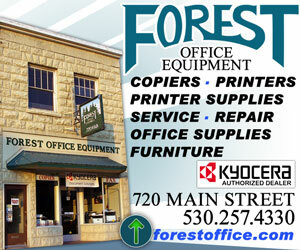 Tickets can be purchased at Axia Home Loans or Margie’s Book Nook.